Learn the Theory Behind Aluminum Electrolytic Capacitors from United Chemi-Con » HHP Associates, Inc.
United Chemi-Con is the industry leader in aluminum electrolytic capacitors. Learn how they’re revolutionized the product in a series of educational posts on their site. United Chemi-con (through their parent company Nippon Chemi-Con) is the world’s largest manufacturer of aluminum electrolytic capacitors. As innovators since the 1950s, they’ve developed new ways to process raw materials and new automation techniques. These developments expanded the applications for electrolytic capacitors. 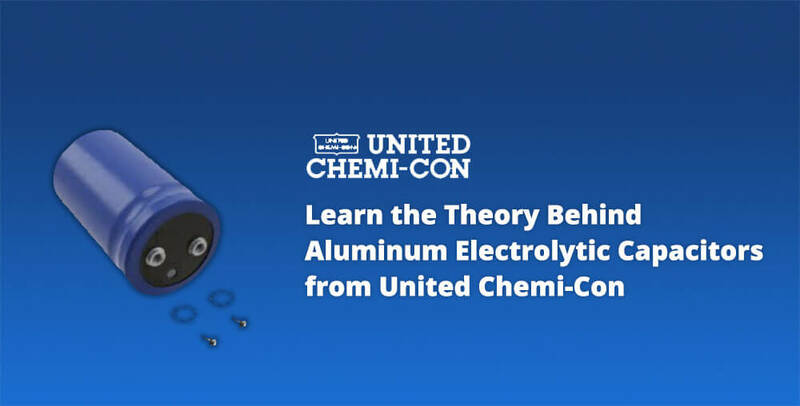 United Chemi-Con has an extensive 11-part guide to the history and theory of aluminum electrolytic capacitors on their website. If you’re interested in learning more about reliability, failure modes, and performance tests, this is an invaluable resource.